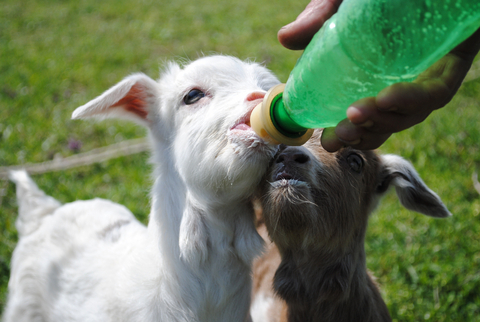 I remember those days of bottle feeding but not doing that anymore though! We had special bottles that we froze our colostrum in so we didn’t mix it up with something else! I use Sharpie markers on the bottles in the freezer. Colostrum is marked with a “C,” and then the oldest bottles are used first, if needed. Sometimes I use a C and a year if we go into a new year with a bottle (seldom happens). We would mark our milk jugs with slips of paper with the year and the name of the doe so we wouldn’t mix up milk that way too since we had lots of milk at the time but we don’t have to worry about that anymore.